ABBOTSFORD — One of the most under-appreciated moments of recent vintage in the B.C. high school sports world came during the junior varsity portion of the 2017 B.C. boys rugby championships. And as the countdown continues towards this weekend’s provincial football championships at B.C. 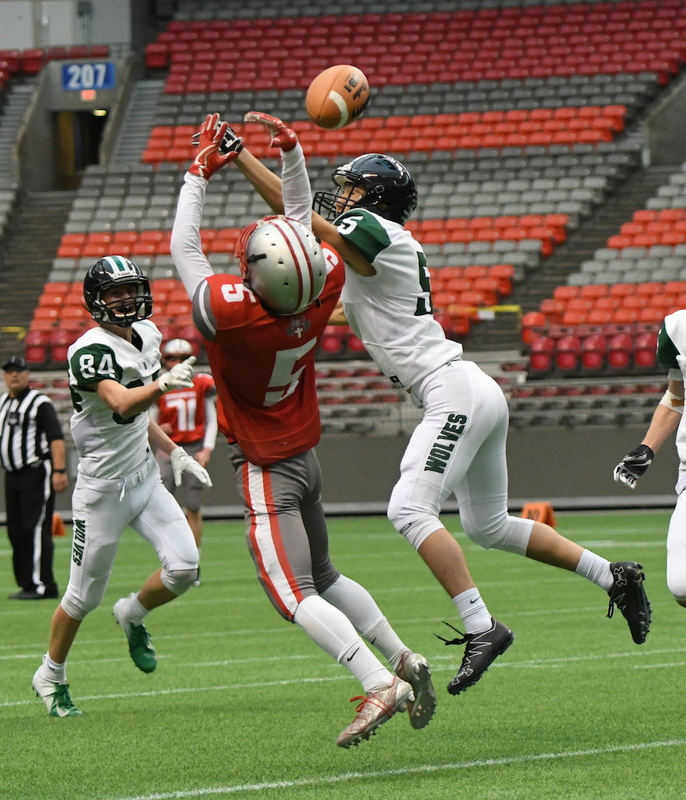 Place Stadium, it holds special relevance because of how it’s helped lead a formerly anonymous team from Abbotsford’s Robert Bateman Secondary to the precipice of the school’s first-ever high school football title. No. 5 Robert Bateman will face the No. 1 Vernon Panthers on Saturday (4 p.m.) in the Subway Bowl Double A championship game at B.C. Place Stadium. 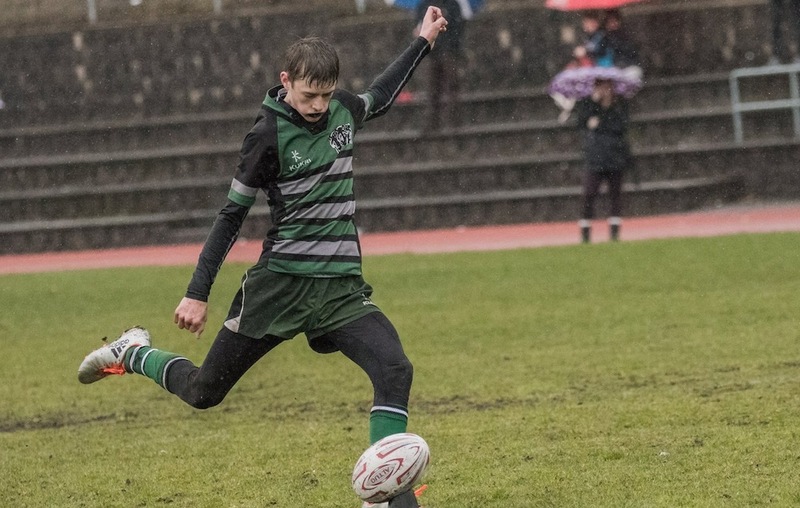 Back in late May of 2017, a Bateman junior boys rugby team which included the likes of scrum half Sam Davenport and flanker Phoenix Moller, defeated Brentwood College in the quarterfinals and Vancouver’s St. George’s Saints in the semifinals to advance to the B.C. championship final. The run came to an end in the title match against the Shawnigan Lake Stags, yet Bateman’s performance against three of the blue bloods of the sport was so impressive it left you thinking that there was indeed something very special about this particular vintage of Timberwolves’ athletes. Swap the scrum for a huddle and fast-forward to last Saturday at B.C. Place Stadium, and the proof was most certainly in the product. Now a devastating linebacker, Moller was also spinning off tacklers and rushing for a 15-yard major in a 49-0 semifinal win over the Holy Cross Crusaders. Try four touchdowns, with at least one in all three phases, to go along with two picks and 6-of-7 PAT kicking. That DNA, of course, gets its toughest test on Saturday against a juggernaut Vernon Panthers team just as hungry to win its school’s first senior varsity Subway Bowl title. While Vernon’s current players may not have had the same level of provincial success as Bateman’s in other high school sports, they too are going through one of the most talented male cycles in school history with a rising group of Grade 11 basketball talents (Zack Smith, Trent Charleton, Liam Reid), who also double on the football team. The Timberwolves carry-over between rugby and football is even stronger in numbers. Virtually the entire personnel group of both the offensive and defensive lines also suit up in the 15-man game, as do Davenport, Moller and ace receiver Markus Rauch. Having a coach working with both sports helps foster the sense of cooperation, but as Mills states bluntly, it has been essential at Bateman. You never know what a season can bring, and if you looked at how the cards had been dealt against Bateman this season, you’d be in the majority if you didn’t pick them to be playing in a Subway Bowl final on Dec. 1. The biggest reason, other than the fact that they finished dead last in the Eastern Conference the season before? Two teams in their league — Pitt Meadows and Frank Hurt — folded after the season started, giving them two unplanned bye weeks and just three league games to prepare for the playoffs. Thankfully for the Wolves, Mills had front-loaded the schedule with out-of-conference blue-chippers like Windsor and John Barsby, both of whom beat Bateman as part of their 2-2 overall start. Yet after topping G.W. Graham 28-27 to open league play, their football world seemed to change from flat to round. 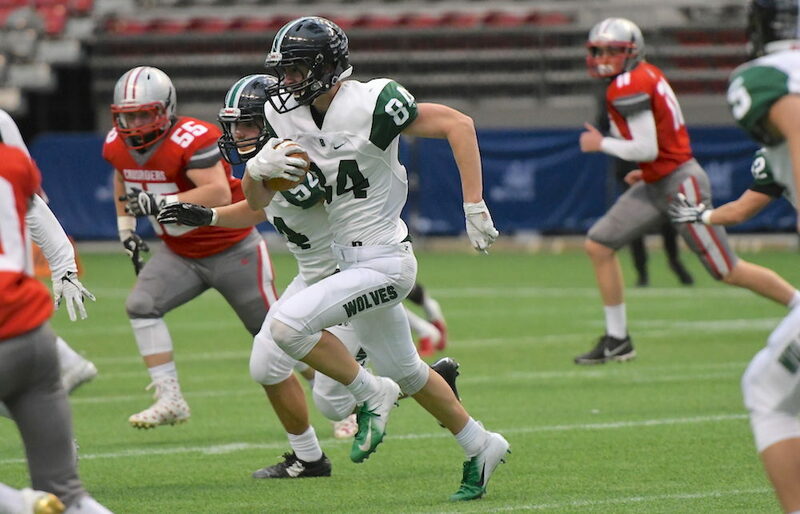 The Wolves have won five straight heading into Saturday’s final and every team they have beaten in that streak has been ranked in Varsity Letters’ Big 5 at some stage this season. In their two playoff games, they have beaten Winsor and Holy Cross by a combined scored of 77-0. Yet it’s not like the Timberwolves are completely in the dark as to what they will face come Saturday. Bateman and Vernon kicked off their respective 2016 and ’17 seasons with out-of-conference match-ups against each other. Vernon quarterback Thomas Hyett was a 10th grader making his first-ever start at quarterback. On Saturday, the senior slinger can close out that high school career with a B.C. title at the expense of the Wolves. Other than that, Mills knows the Panthers will work from a similar base, but could well introduce any number of new concepts to the mix. Yet in all the prep work that Robert Bateman coaches and players do this week, there will also be the tacit understanding that they, too, have prepared themselves for the game of their lives. “This is not a completely new experience for them, in fact for some of the guys it’s their third championship final,” Mills said of those two past provincial rugby finals.